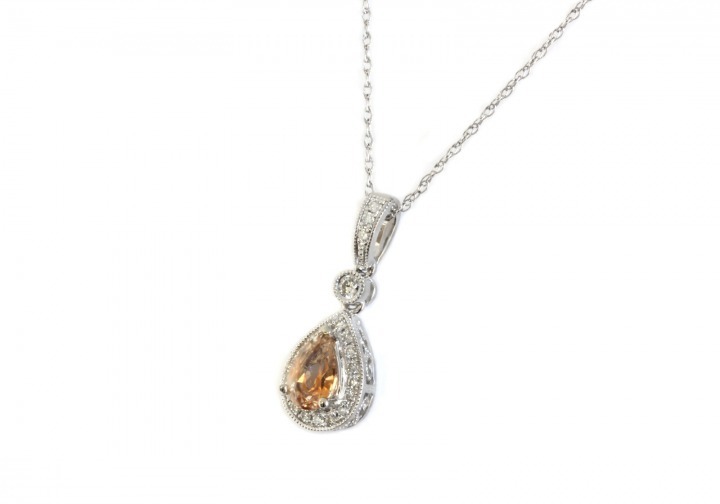 This gorgeous pendant is a true beauty. 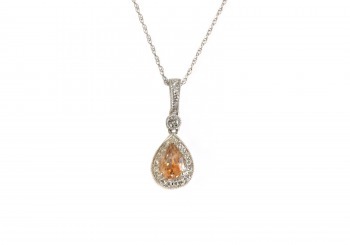 Lined with Diamonds and an orange Fancy Montana Sapphire, it will be sure to add some zest to your day. 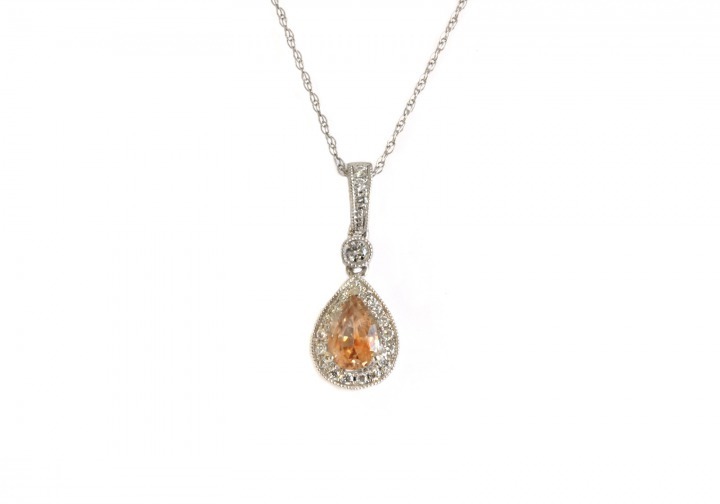 Center StoneFancy Montana SapphireWeight0.58ctwAccent StoneDiamondsWeight0.16ctwChain not included.